The Holiday Inn Express Hotel in Chattanooga offers the best in service and Southern Hospitality, with convenient access off the Interstate 75 at Exit # 1. You are just minutes away from Chattanooga's business and industrial area and centrally located for a visit to area attractions and shopping including Lookout Mountain, Ruby Falls, Rock City, Incline Railway, Tennessee Aquarium, Creative Discovery Museum, Imax Theater, Chattanooga Choo Choo, Lake Winnepesaukah Amusement Park, Hamilton Place Mall and Warehouse Row Outlet Mall. Enjoy the complimentary Deluxe Express Start continental breakfast bar in our spacious Great Room while catching up on news from around the world on CNN and around the country with the Atlanta Journal-Constitution. All our rooms are equipped with free high speed internet access, or use our 24-hour business center to stay caught up on your work while on the road. Also, local calls are free to all guests. Trying to relax&reg Enjoy our year round indoor heated pool. If it's a good workout that you are looking for, all guests have access to our on-site fitness room. For that special occasion we also offer hot tub suites. 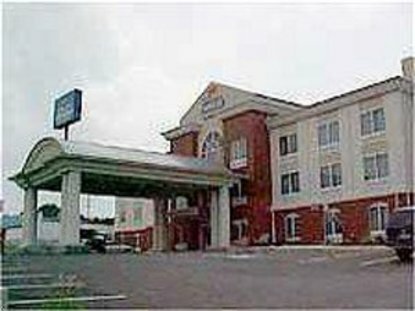 The Holiday Inn Express Hotel & Suites East Ridge looks forward to your next visit to our area. Make the smart choice, Stay with us at Holiday Inn Express Hotel & Suites in East Ridge. This hotel is committed to providing accessible facilities under the American Disabilities Act. If your accessibility needs are not met, please contact the Hotel Manager on Duty. Should you require additional information regarding accessible facilities for guests with disabilities, please call 1-800-Holiday (U.S. and Canada) or contact the hotel directly. For the hearing impaired, TDD service is available at 1-800-238-5544 within the U.S. and Canada.